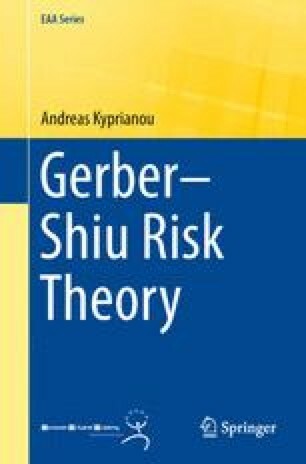 Having introduced scale functions, we look at the Gerber–Shiu measure, which characterises the joint law of the discounted wealth prior to ruin and deficit at ruin. We shall develop an idea from Chapter 4, involving Bernoulli trials of excursions from the minimum, to provide an identity for the expected occupation measure until ruin of the Cramér–Lundberg process. This identity will then play a key role in identifying an expression for the Gerber–Shiu measure.